Walking allows us to observe, enjoy what we see, imagine and dream. Sant Joan d’Alacant has been a crossroads territory since the thirteenth century and now it offers visitors a large number of historical routes through the Horta, approaching this mythical natural and cultural landscape, showing us the rural and urban heritage from the sixteenth to the nineteenth centuries. There is no better way to discover what we are than to walk around the places around us. We suggest you a series of routes through Sant Joan d’Alacant to enjoy our settings. The Torres de l’Horta were built between the sixteenth and seventeenth centuries in the prosperous Horta d’Alacant. From the towers, the inhabitants of the region were alerted about the Berber pirates attacks, very frequent in the middle of the fifteenth century, and throughout the sixteenth and seventeenth century. The ingenious defensive system with watchtowers on the coast simulated an invisible wall that communicated with the towers of the Horta. In Sant Joan there are currently four towers: Ansaldo, La Cadena, Salafranca and Bonanza. In addition, Alacant has nineteen towers and Mutxamel three more. Despite being Assets of Cultural Interest, their state of conservation is very uneven, some are restored and others are in advanced deterioration. Most are privately owned, but some belong to local public administrations or are integrated within Churches, like in Santa Faz or the Church Tower in Mutxamel. Currently, you can not visit the interior of any tower if you do not have any type of permission. It is a very long route, about 24 kilometres and a half, so it is advisable to do it by bike, although if you have enough time you can also walk between six and eight hours, or complete it in stages. At the moment the bike path is not enabled in the entire itinerary, so visitors must be cautious and respect the traffic regulations. The route follows urban and interurban paths, traversing forest tracks and unpaved roads, so less experienced cyclists may have to get off the bike and walk for small sections. Avoid the central hours of the day, do not forget water, provisions and appropriate clothing. Once everything is ready, you can enjoy this wonderful experience. Through this gentle route you will cross the Camino de Lloixa, a medieval road that is mentioned in ancient documents, already in the year 1300. During the itinerary you will be able to know some landmarks of the Sant Joan’s geography, such as the torres de Bonanza and Salafranca, belonging to the complex of the Torres de l’Horta. You will also find interesting examples of our religious architecture, such as the Santa Ana and Calvari hermitages as well as the mythical Santa Faz Convent. At Mount Calvari and Colada de Coix, you will see some of the most representative points of the Alacant’s orography. It is a short itinerary, about three kilometres, ideal to do it by walking. It is necessary to take into account that the route crosses traditional hills and paths. Some streets do not have side walks, sharing lane with vehicles. Although the traffic is not usually intense, be aware of cars. Avoid the central hours of the day, do not forget water, provisions and appropriate clothing. It is an ideal route for the whole family. Enjoy the ride. Bordering Sant Joan d’Alacant we find mythical roads such as the one of the Princesa, the vereda de San Juan, Palmeretes, the Campet, the vereda de Benimagrell, the camí de Lloixa and the camí del Serení. This itinerary links all these traditional roads.  During the tour you will be able to know some of the most important Villas of Sant Joan, such as La Princesa, Lo de Bellón (de Fuera, de en Medio y de Dentro), finca April, finca Capucho, Nazareth or finca El Conde, among others. You will also see six towers belonging to the complex of Torres de l’Horta, declared Asset of Cultural Interest. They are torre La Cadena, torre Soto, torre de la Santa Faz, torre Bonanza, torre Salafranca and torre Ansaldo. The religious architecture is also present; the San Roque hermitage, the Santa Faz monastery, the remains of the Villa Flora hermitage and the Santa Ana hermitage. The landscape accompanies most of the route. In the vereda de Benimagrell you can see one of the few agricultural areas that remains still active within the municipality, and from Mount Calvari you will enjoy a spectacular panoramic view of the conurbation of Alacant and its coast. It is a route of twelve kilometres so it can be done by walking or cycling. The cycle lane is not enabled in the entire itinerary, so visitors should be cautious and respect the traffic regulations, especially in the sections where cars, pedestrians and cyclists share the same route. Avoid the central hours of the day, do not forget water, provisions and appropriate clothing. We encourage you to learn a bit about the history of this wonderful territory while you practice one of the healthiest and inspiring activities that exists, walking. We suggest you an itinerary around the heart of Sant Joan d’Alacant. In this tour you will visit the most important places in the history of Sant Joan. Thanks to its layout you will enjoy its fabulous estates and country houses, such as Villa Ramona, Nazareth, finca Buena Vista or casa Prytz, El Jabalí, La Concepción, Manzaneta or El Reloj. The defensive architecture is also present, since the road passes through three Torres de l’Horta, declared of Assets of Cultural Interest. We are referring to torre Bonanza, torre Salafranca and the torre de la Santa Faz, integrated in the monastery of the same name. As examples of religious buildings, in addition to the mentioned temple, you can also visit several hermitages such as the hermitage of San Roque, Mare de Déu de Loreto, Santa Ana, Calvari, or San Juan Bautista church, the most important religious centre of Sant Joan. The route connects different parks and emblematic squares, the municipal garden, the plaza del Ayuntamiento (Town Hall Square), San Luis Park, La Concepción and Manzaneta gardens, Mount Calvari, El Reloj gardens, the Giants’ orchard and the plaza de Josep Carreras. In addition to strolling through the historic centre and the Rambla, you can enjoy our hospitality and fabulous commerce. It is a route of ten kilometres that passes through the town, ideally by walking. Discover our town and wonderful people, we wait for you with open arms. We suggest you an itinerary through the heart of Sant Joan d’Alacant. Through this tour you will visit the most important places in Sant Joan’s history. Formerly, the Camí de la Alquería del Canonge communicated Sant Joan d’Alacant with the beach. With this route we recover the traditional roads of this area, leaving behind the sea and entering through what were fertile cultivation fields, from the enclave of Cuatre Camins, passing through Camí del Campet and Palmeretes, La Princesa or Camí del Serení, to finish going deep into the heart of Sant Joan’s town centre. During the tour you will know the history of important Villas such as Palmeretes, finca Abril, La Princesa, Lo de Bellón, Casa Conde, La Concepción, Manzaneta, finca El Reloj and finca Pedro José, among others. The road surrounds three torres de l’Horta belonging to the Modern Age, declared Assets of Cultural Interest (BIC). We are referring to torre Ansaldo, torre Bonanza and torre Salafranca. As examples of religious architecture you will find the Virgen del Rosario or Fabraquer hermitage, Santa Ana hermitage, the remains of the Villa Flora hermitage, the San Roque hermitage, and the San Juan Bautista church, one of the most representative monuments of our town. You can also enjoy the open air along the roads that surround the historic centre of Benimagrell, and from Mount Calvari you will see the spectacular views of Alacant and its coast. Other parks and gardens are La Concepción and Manzaneta, or those of finca Pedro Jose. In the rambla and the town centre, our businesses and our hotels are waiting for you. The streets of the centre are very lively for most of the day. It is a circular route of fourteen kilometres, so it can be done by walking or cycling. The cycle lane is not enabled in the entire itinerary, so visitors should be cautious and respect the traffic regulations, especially in the sections where cars, pedestrians and cyclists share the same route. Avoid the central hours of the day, do not forget water, provisions and appropriate clothing. It is recommended to stop to eat in town and enjoy our tasty and varied local gastronomy, which offer you will find on our website, in “Discover”. Once the forces are restored, you can start the way back to the beach. In order to go to Sant Joan from El Campello you can use many routes, but if you go by Camí Reial de la Vila Joiosa, you will enjoy a picturesque tour and you will know a lot of passages of history that you probably have never heard of. From the heart of El Campello, you can depart from the Centro Cultural Auditori (cultural centre), strolling towards the Santa Teresa church. You will end up going down to the Montnegre or Seco river by a road with numerous houses. When crossing it, you will enjoy curious panoramic views of the coast and the arid river corridor. Once you cross the river bed, you will pass through a residential area before reaching Villa Marco. In the fields of Fabraquer you will find jewels like Monsén Sáez or finca Capucho, in a section of the route that is a real delight. After passing another residential area you will reach the Benimagrell’s old town, where Ramona and San Roque hermitage stand out. However, most popular spots of the hamlet are its bakeries, where you will taste its famous wood-fired bread, their ‘cocas’ (salted cakes) of different tastes like cod and raisins or zarangollos (fried pumpkin, onion and tomato with other ingredients) and aubergines, their varied pastas (cookies) or their aniseed ‘rollitos’(sweet bun with circular shape). After six kilometres of route, if you are fit you can do the route of “Walk around Sant Joan” (10 km) or “Sant Joan’s roads” (12 km). It is only recommended for people accustomed to do long journeys. It can also be done by bike, but the bike path is not enabled in the whole itinerary, so you must be careful and respect the traffic rules. Avoid the central hours of the day, do not forget water, provisions and appropriate clothing. When you are hungry you can enjoy a wide variety of bars and restaurants in the town centre. There, you will find an attractive offer adapted to all the pockets and palates. You can see the wide gastronomic selection and bakeries in our website, in “Discover”.